You probably have spaces in the living areas of your home that you would rather not think about. That narrow space between the refrigerator and wall. A closet where you throw all the junk as the guests are pulling up. Under the stove – yikes, I don’t even like to look at the dozen lint-covered tennis balls under there. You have a neglected space like this outside your house. It’s that narrow strip between the side of your house and that walkway that connects the driveway to the backyard. It’s where you put stuff like the still-useful-someday-although-that’s-highly-unlikely leftover DIY construction materials and an old lawnmower that won’t start. These things are going to accumulate, untouched, until your real estate agent tells you that your house absolutely will not sell until you dispose of them. If the side of your house isn’t lucky enough to have such a walkway, the situation might be even worse. This space often becomes a no-man’s land of nasty weeds, plastic bags, and partially buried skeletons. If your neighborhood’s houses are densely packed side-to-side, this zone has the added distinction of being in the deep, dark canyon formed by the walls of adjacent houses. Avoid the impulse to pretend this area has a cloak of invisibility over it. That cloak wants to be draped over the air conditioner anyway. Why not turn this forgotten strip into a lush garden that you actually enjoy strolling through? Replace the stack of old paint cans with some reliable perennial groundcovers. Lilyturf is the king of the shady space between the walkway and house. 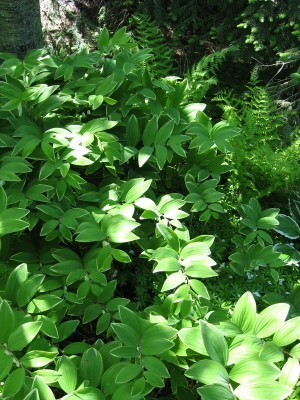 Close behind, waiting for a coup d’etat, are epimedium, Solomon’s seal, barren strawberry, and hakone grass. They really don’t even have to wait for a coup – they can all live harmoniously together. Plant them in random-ish groupings of various sizes. 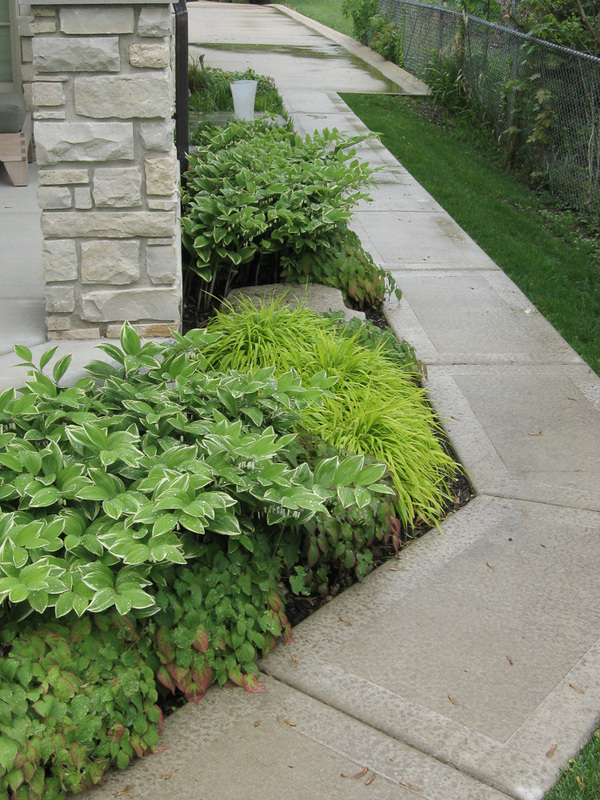 Even include some thick-leaved hostas – just don’t plant them like they are lined up at the DMV.